Love, Abundance, Wealth, Good luck, Longevity, Acceptance, Courage and strength, Protection, security and safety, Balance, Harmony, Generosity, Appreciation of nature. Typical Color: A banded variety of Chalcedony found in white, red, pink, gray, blue, green, brown, orange, black or any combination of these colors. Agates are semi-precious gemstones that are a variegated form of chalcedony (pronounced kal-sed'-nee), which is silicon dioxide in the form of microscopic fibrous quartz crystals. Agates naturally develop when an empty pocket inside a host rock fills in molecule-by-molecule, layer-by-layer as these microcrystals self organize to form concentric bands or other patterns. The colors and arrangement of the microcrystals are influenced by changes in pressure, temperature, and mineral content that occur during the formation process. 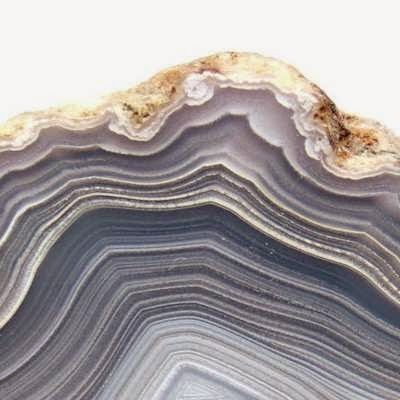 Unlike other gemstones, each agate is unique. Even slabs cut from the same specimen will vary in color and design. Agate is a stone of balance, precision, perception and eliminates negativity. Agates attract strength. Agate is a protection from bad dreams. It also protects from stress and energy drains. 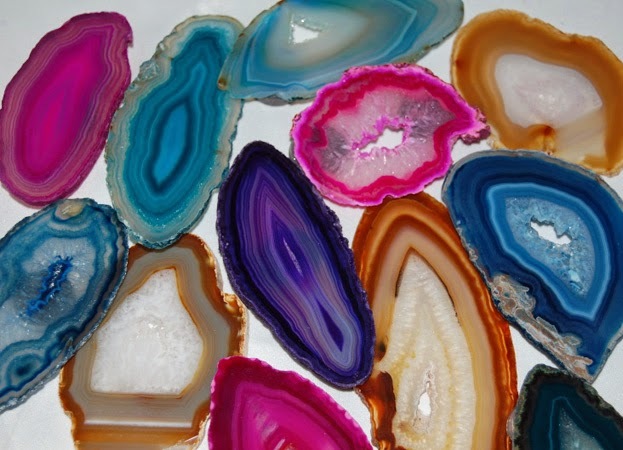 Agates have been used in jewellery since Biblical Babylonian times. They were used to ward off storms. They were prized gems in antiquity. The agates with banded colors were placed at the head of a sleeper to give rich and varied dreams. Agates have been thought to be good to harden the gums. Agate promotes inner stability, composure, and maturity. It’s warm, protective properties encourage security and self-confidence. It is a great crystal to use during pregnancy. Agate also helps new mothers avoid the "baby blues" sometimes experienced after giving birth, and an Agate jewel worn between the breasts encourages lactation. Agate is used for stomach upsets. Place the agate on the solar plexus. The agate can’t change emotions, but helps to change our level of acceptance of the emotion. Such as when you are very sad the agate will let you know that this will pass and help you get on to another and better day. This is why the Agate is considered as powerful as it gives us the strength to carry on. Carry an agate when you have to make an important decision. Agate is an excellent stone for rebalancing and harmonising body, mind and spirit. It cleanses and stabilizes the aura, eliminating and transforming negativity. Agate enhances mental function, improving concentration, perception and analytical abilities. It soothes and calms, healing inner anger or tension and creates a sense of security and safety. Agate provides a wide variety of crystal formations conducive for meditation focus. The intricate movements within the crystal encourage calm, relaxing state and open the mind to higher thought and inner truths. 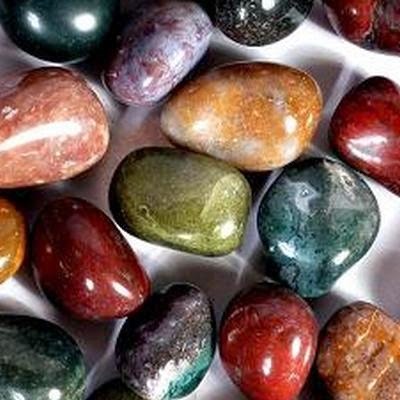 The Divinatory meaning of Agate: Consider both sides before making a decision. Dreaming of Agate signifies a journey.